George Frideric Handel (1685–1759) was a German-British baroque composer, famous for his operas, oratorios, anthems and organ concertos. Most music lovers have encountered George Frideric Handel through holiday-time renditions of the Messiah's 'Hallelujah' chorus or his Music for the Royal Fireworks. Handel was born in the German city of Halle on February 23, 1685. As a child he studied music with Friedrich Wilhelm Zachow, organist at the Liebfrauenkirche, and for a time he seemed destined for a career as a church organist himself. In 1703 he took a post as violinist in the Hamburg opera orchestra, he fought a duel the following year with the composer Mattheson over the accompaniment to one of Mattheson's operas. 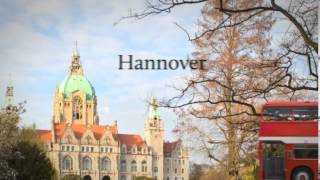 In 1706 Handel returned to Germany to become court composer in Hannover. English audiences took to his 1711 opera Rinaldo, and several years later Handel moved to England permanently. He impressed King George early on with the Water Music of 1716, written as entertainment for a royal boat outing. Through the 1720s Handel composed Italian operatic masterpieces for London stages: Ottone, Serse (Xerxes), and other works often based on classical stories. In the 1730s and 1740s Handel turned to the oratorio which displayed to maximum effect Handel's melodic gift and the sense of timing he brought to big choral numbers. In 1737 Handel suffered a stroke, which caused both temporary paralysis in his right arm and some loss of his mental faculties. Blind in old age, Handel continued to compose. He died in London on April 14, 1759. Beethoven thought Handel the greatest of all his predecessors; he once said, "I would bare my head and kneel at his grave". Handel's father did not approve of his son's love of music. His mother had to smuggle a small keyboard into the attic of their house. The young boy would play the instrument up there, in secret on his own, when his father was not around. What was a castrato? And what did they sound like?